Because I bought the squeegee. I need a gentle scrubber for high roof windows. To have on hand if the first one wears out. For the item listed below. A replacement for the telescoping squeegee set. BEST ANSWER: It is 12" in length, and the width of it is about 2 3/4". There's about an 8" opening along one of the long sides, with hook and loop tape that closes it up on one side, so that it can be slipped over one of the telescoping squeegees they also sell in the Walter Drake catalog. Then the hook and loop tape keeps it in place on the squeegee. Hope that helps! What does this part go toit says it is the head? BEST ANSWER: Thank you for your question. 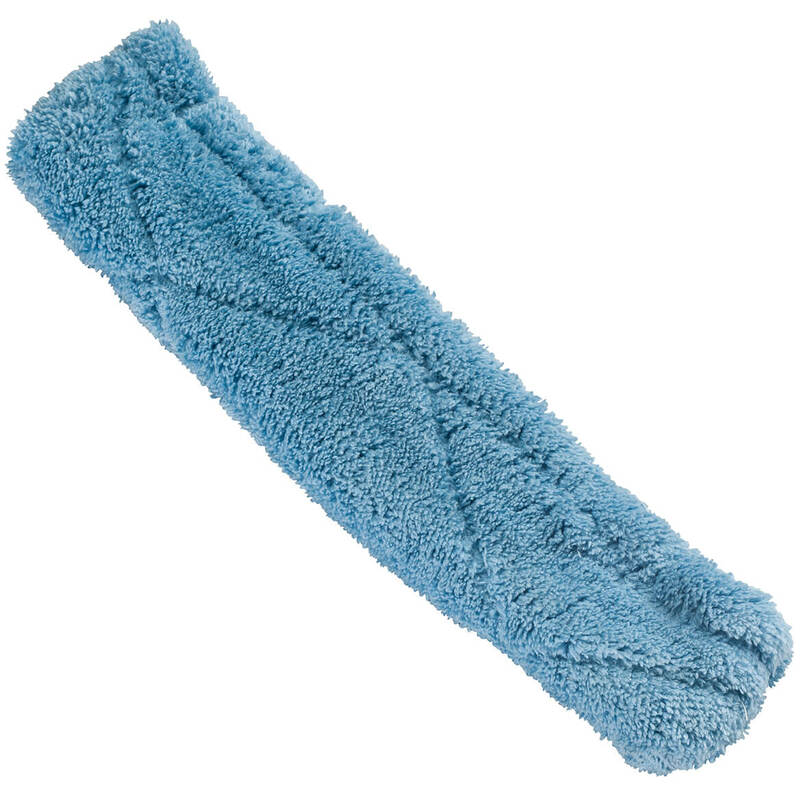 It is for 347477-Telescoping Microfiber Cleaning Tool and Squeegee Set. We hope this information will be of help to you. 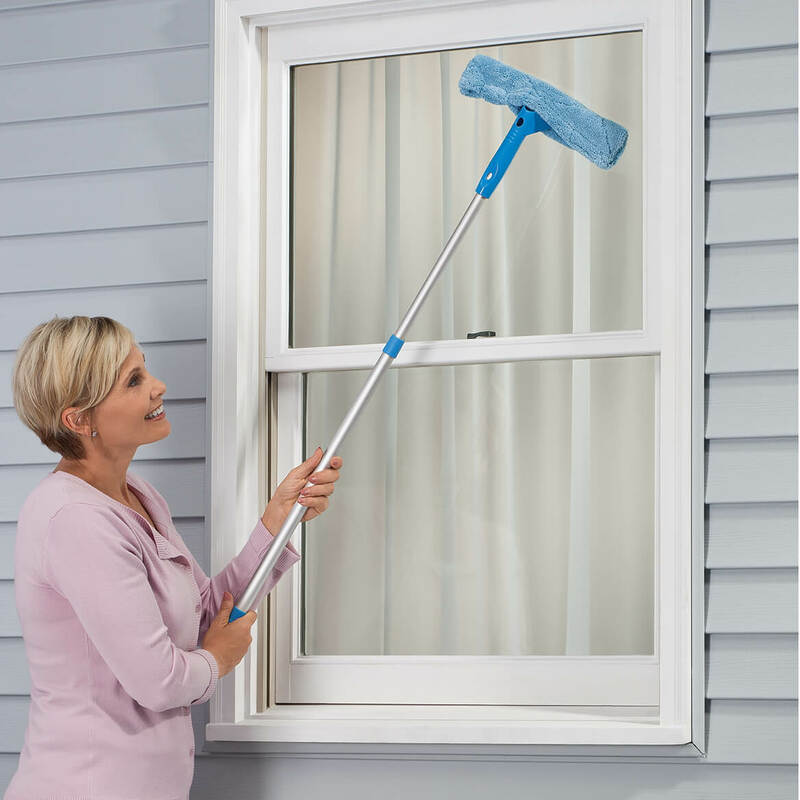 Hi, it is a replacement head for the "Telescoping Squeegee Set" that is meant to wash windows from the outside of your house. Hope that helps! It is a head for a window cleaner with a squeegee on one side, and the head to wipe the water or to clean the window with. is this used for washing floors or just for dusting purposes? BEST ANSWER: I use for the bathtub, shower surround and outside windows! You could dust with it, but that is what I use it for! I don't dust my floor I wipe it down so maybe you could try it for dusting! I am presuming you are talking about hardwood floors! For me, I just use it for dusting purposes. I don't see it being used for washing the floors.